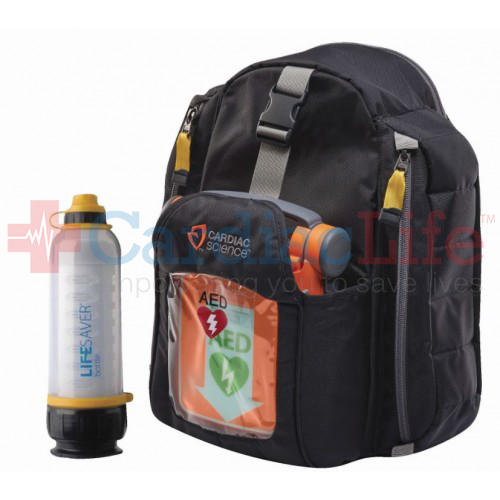 The Cardiac Science Powerheart G5 AED LIFESAVER Water Bottle Hiking Package is ideal for hikers who are interested in a little extra protection on the trails. Don't rely solely on bottled water during your hike, bring the LIFESAVER Systems 1500 Ultra Filtration Water Bottle and drink straight from streams and rivers. The LIFESAVER Systems 1500 Water Bottle filters your water instantly, providing safe drinking water. 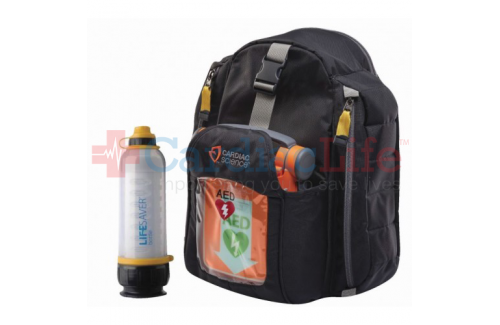 With the Quicklook AED Backpack, you can carry the water bottle easily, no matter how rough the terrain is.